Sean Szymkowski March 5, 2018 Comment Now! Rolls-Royce will show off its one-off craftsmanship at the 2018 Geneva motor show with three bespoke Phantoms, as well as a special Dawn Aero Cowling model, the British ultra-luxury marque announced Monday. Each of the three Phantom models was developed separately and feature their new owner's personal touches and preferences. 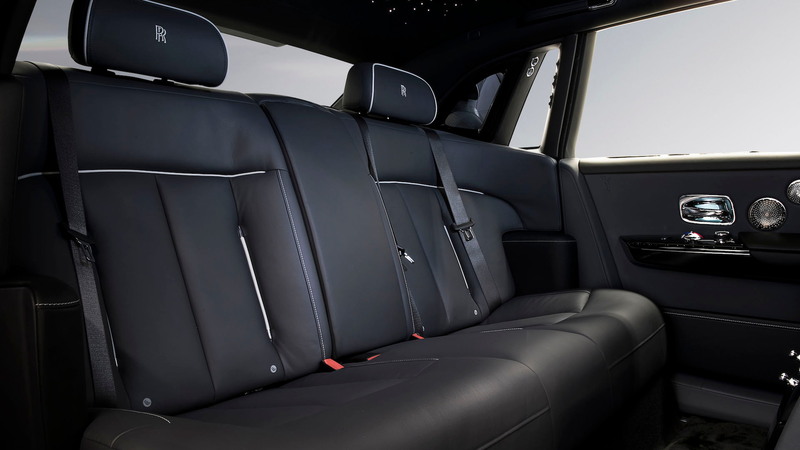 Starting with the Phantom "Gentleman's Tourer," the standard wheelbase Phantom emphasizes driving. The Phantom II Continental saloons of the 1930s, often used for cross-country trips, inspired the owner to craft a modern Phantom with similar motifs. 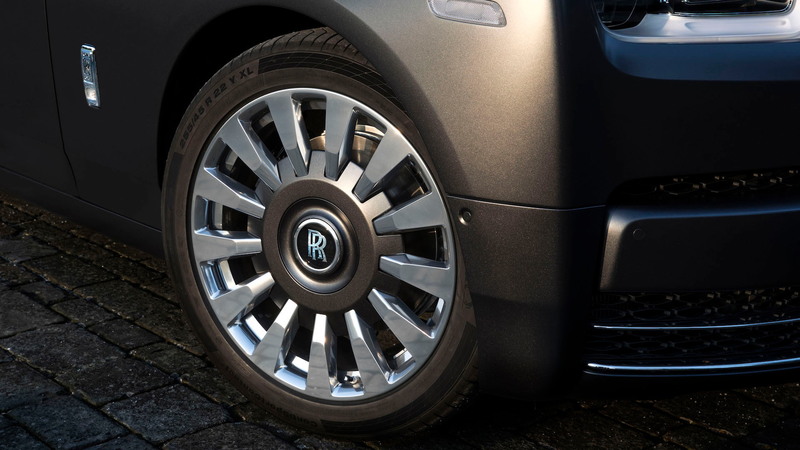 The "Gentlemen's Tourer" features Iced Gunmetal exterior paint, complemented by a satin silver hood, and the centers of the 22-inch wheels sport the same Iced Gunmetal hue. The owner's love for high-performance aircraft inspired the color. Inside, black and gray leather tones blend with minimal silver accents. Rolls-Royce also embossed the "Spirit of Ecstasy" into each door panel. 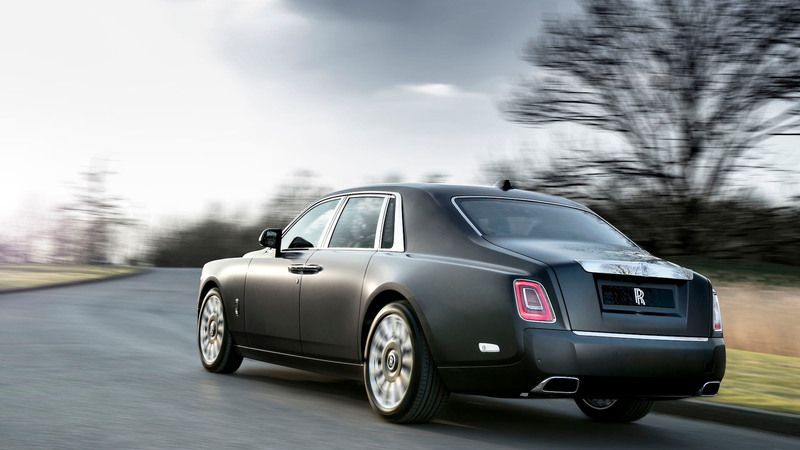 But, it's one material in particular that really sets the bespoke Phantom apart: Ruthenium. The precious metal adorns the cabin. According to the luxury brand, around 22 tons of ruthenium are mined each year, compared to 2,700 tons of gold. Phantom long-wheelbase models were used for the other two Phantoms, which are titled "Whispered Muse" and "A Moment In Time." These are the first all-new models to be completely designed with artists and done independently of Rolls-Royce's standard gallery services. And the standard service is already pretty incredible. The Phantom "Whispered Muse" was completed by London-based designer Helen Amy Murray, who channeled the original drawings of the brand's Spirit of Ecstasy. Different silk planes create separate contours across the interior to create a partial image of the Rolls-Royce icon. Rose gold accents wash over the interior and exterior with white accents. Of course, the rose gold emblem was created especially for this customer's car. The Phantom "A Moment In Time" is the work of artist Claude Johnson, who aimed to capture the Rolls-Royce spirit. The lack of noise and vibration teamed with an overall grace were the inspiration for the interior motif. Spirit of Ecstasy embroidery, finished in navy blue, compliments a hand-polished sapphire veneer. Outside, six layers of Blue Crystal over Milori Sapphire Bespoke paint recall the polished veneer inside. A new take on the convertible Dawn, the Dawn Aero Cowling features an aluminum and carbon fiber tonneau that covers the rear seat to give the Dawn the appearance of a two-seater. It consists of two hand-made cowls that are sculpted to channel air effectively. Each cowl offers a lockable, leather-lined storage compartment, and the lids are covered in leather to match the interior leather. 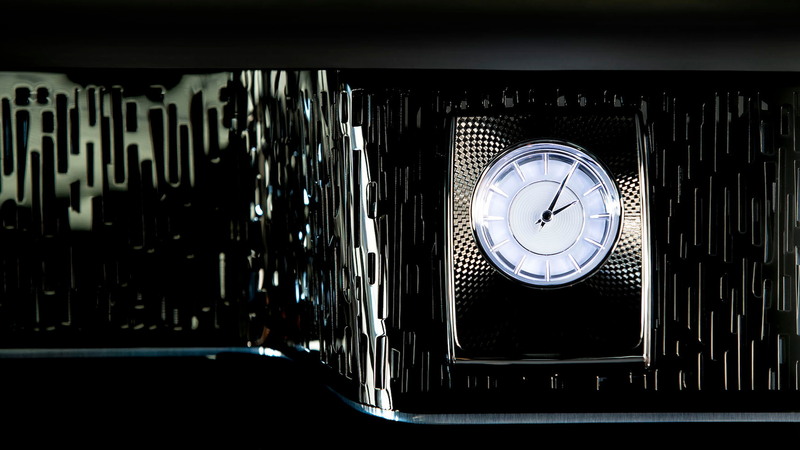 The car to be shown in Geneva features Cassiopeia Silver paint with Casden Tan leather inside. The carbon fiber on the cowling is exposed and more carbon fiber is found the dashboard to highlight the material used for the cowling. 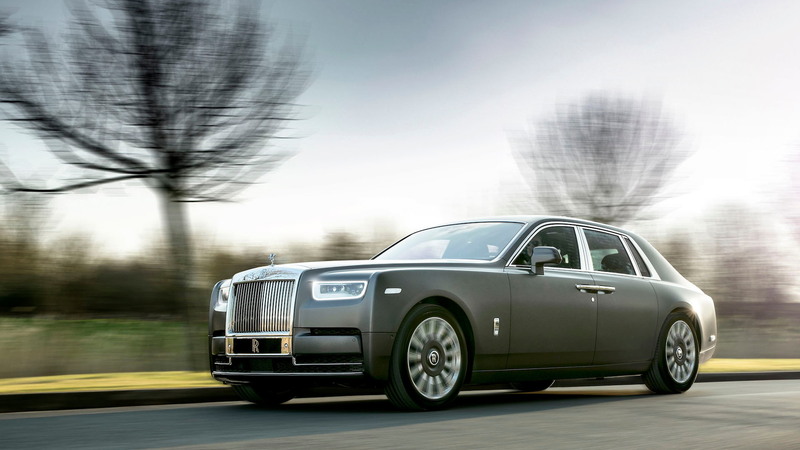 All four cars will be featured at the Rolls-Royce stand during the 2018 Geneva motor show, and the bespoke models will appear in this public venue before their new owners officially take delivery of their machines.